I'm in the kitchen making dinner. I need a spice that can't be found. 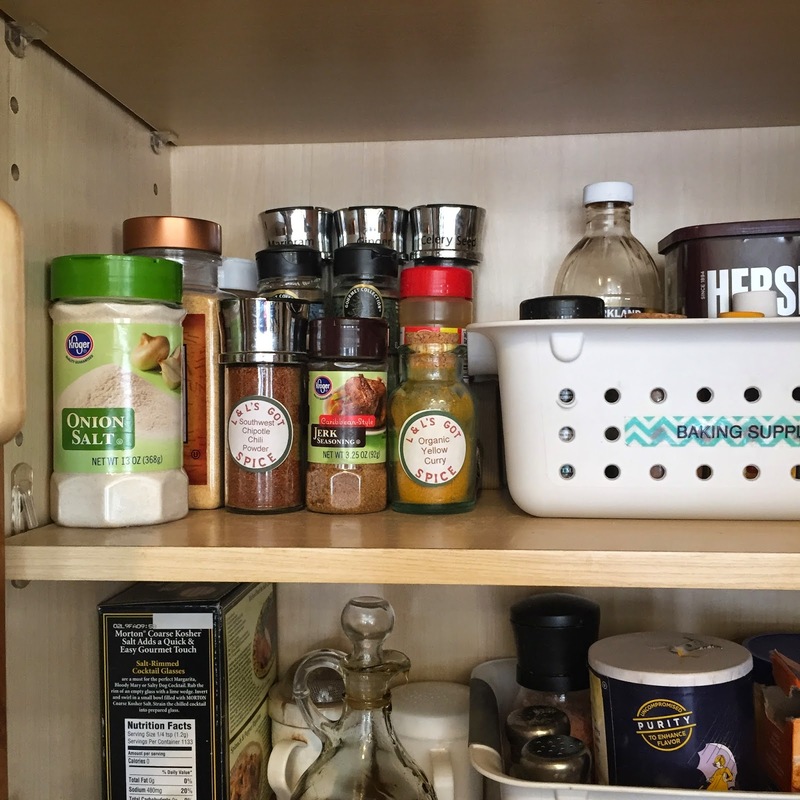 I search my cabinet to find the spice hidden back behind all those other spices. I'm disgusted that it took me more than one minute to find this spice. I'm disappointed in my organizing skills and determined there must be a better way. I'm in the middle of dinner so I don't have time to run to the store. 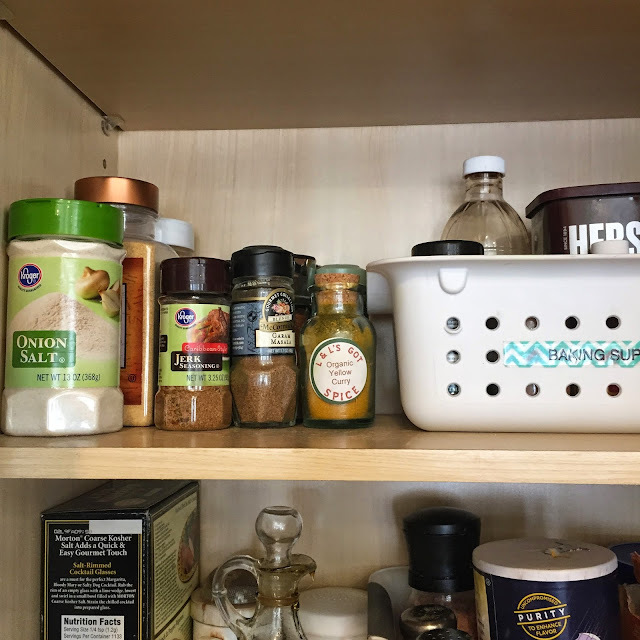 I know that I want to have risers so that I can see the spices hidden in the back. I'm not sure the store would even carry a riser for such a small space. In that perfect moment my determination breeds creativity! 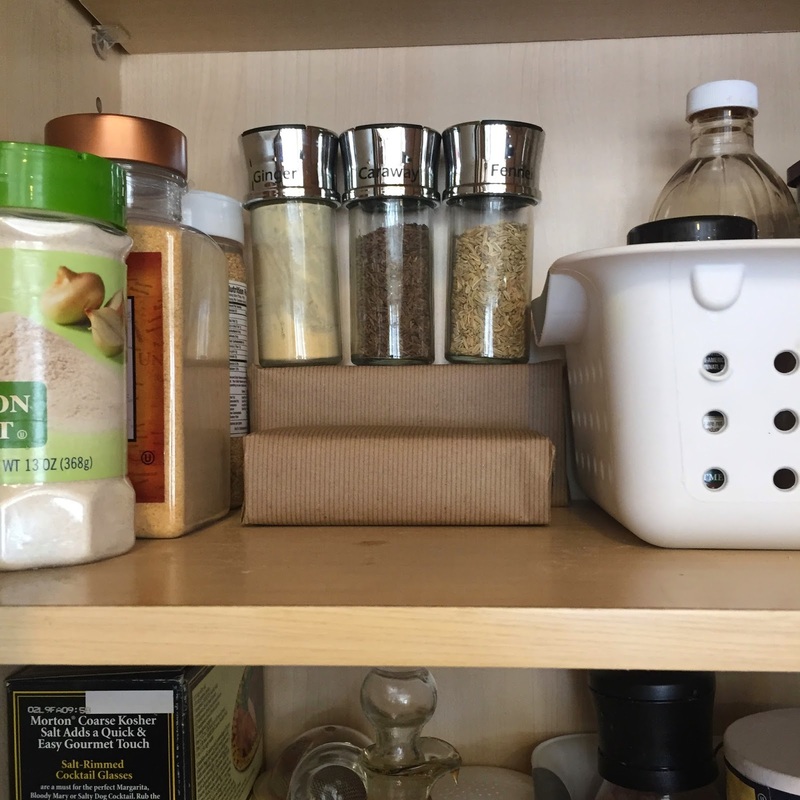 Here is how I created a homemade riser for my small kitchen cabinet space. 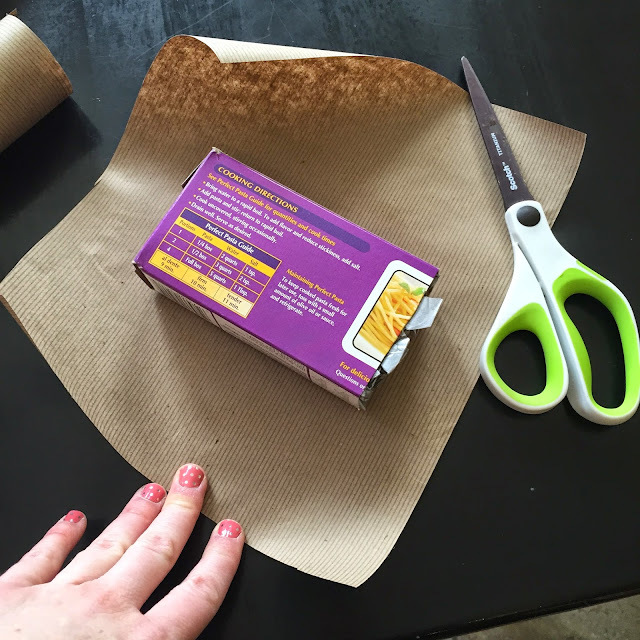 I got a box of pasta, removed the spaghetti noodles and cut the box in half. I needed the box to be sturdy so I stuffed it as full as I could with newspaper. I couldn't possibly stare at a sliced up box of pasta in my spice cabinet so I needed something to make it inconspicuous. I wrapped the boxes with brown butcher paper. Ta-da! My five minute riser is done and works great. My spice bottles fit perfectly. Here is the second riser. The riser on the back row I placed vertically. The riser on the front row I placed horizontally. It worked perfect! This is so much better. I can see all the spices and hopefully find what I am looking for in under one minute next time. In case you think that I only use these twelve spices, the cabinet door has a handy spice rack, which holds all my other spices. This was just the overflow area. I really spiced things up around here! If you don't own any risers for your pantry, you are missing out. 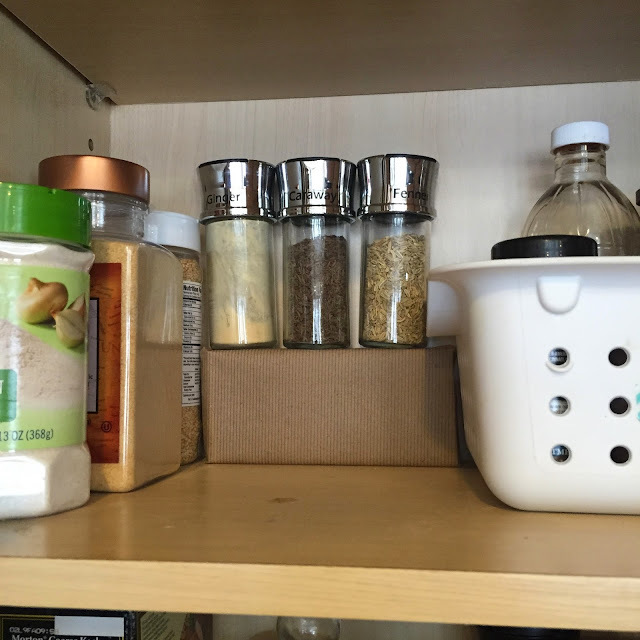 They are one of my favorite kitchen organization products! Find some here, here or here.